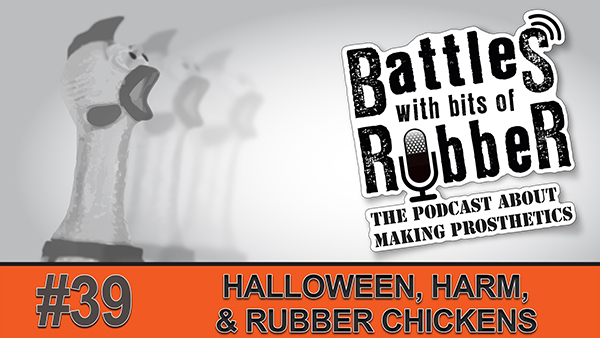 Rick Baker knows a thing or two about making stuff in rubber. It's also fair to say he knows a thing or two about the digital world too, as he has been mixing the two for a while. In 2015, when it was announced that Rick was to close his shop, the FX world was stunned and the bell tolled once again for the end of all practical effects as people speculated the end of live-action anything. There was a Vice article at the time which claimed (again) the 'CGI was killing the industry' which, if you were knee deep in rubber and working crazy hours trying to get stuff done for a show like I and many others were was hard to take seriously. Now the dust has settled, I was so stoked to get a chance to sit and talk to the man himself and see what he was doing with himself now he was out of the industry. He was after possibly the most well known and most respected inspirations working at the time, so what were we to do now he had hung up his makeup brushes? The answer? Keep on making things. Simply put, what has happened since Rick retired is that he is still working and still developing. He has worked on things he wanted to work on make them the way he wanted to make them. He has pushed into mixing up practical and digital techniques in both digital sculpting and 3D printing, post production elements as well as being able to indulge in some of the funnest Halloween makeups we have seen so far. Following Rick on Instagram (therickbaker), you will see a man working harder than ever but this time, he only has to please himself rather than juggle a board of producers. No budget fights or sudden changes of direction to steal away the efforts so far. It is, frankly, amazing. If you have been inspired by the Rick Baker of Thriller, American Werewolf and Nutty Professor, then I am pleased to say your inspiration is still there better than ever. Rick has been working on a scale model scene from the 1932 Frankenstein movie. It really is very cool. I particularly wanted to talk to Rick about this move into the newer technologies. We all love to talk about American Werewolf of course, but that ground has been covered before, and I wanted to talk to him about what is going on now. As you'll hear, Rick was an early adopter so it really isn't that 'new' after all. 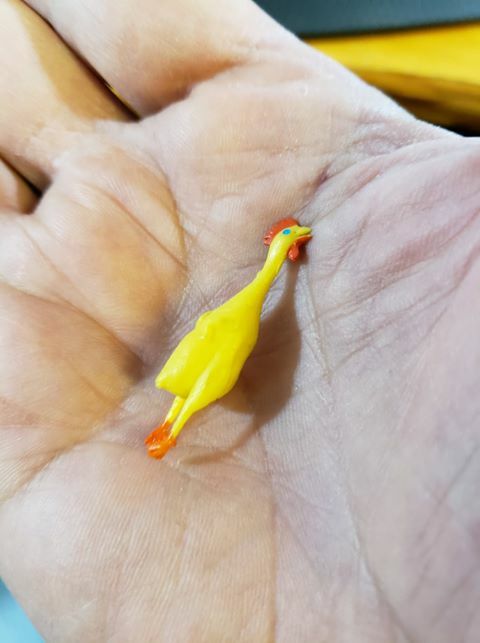 As therapy for me, it totally settled my own fears on digital work and I am happy to say I am flying along with ZBrush, CAD and 3D printing now myself. I finally lost the fear and found the love for it. Only took me ten years. Thanks again for listening, and if you would like to support us, as ever there is one thing you can do that helps more than anything - tell someone else about the podcast! Share this on social media and tell us how we are doing! Something that Don talked about passionately in our interview was how (mostly) young, creative people can be in a position to get taken advantage of. When working starting out, you are not likely to be handed a position of massive responsibility with large sums of money and heavy hitting clients. So it stands to reason when the phone first rings, it’s likely to be a smaller production with little or no budget looking for some help and played right it can be a wonderful place to start. In this episode, we chat about this with a word of warning and a method of understanding your worth so that if you find yourself in this position, you can check yourself and your fluctuating emotions against the empirical gauge of common sense. We also wax lyrical about plain dangerous Halloween makeups which we have seen. Every year, a plethora of inappropriate objects are attached to eyes and noses in an attempt to get likes and attention. There isn't anything wrong with that unless of course, actual harm can come about from doing so. Using sharp things on the skin is a no-no. In the latest Prosthetics Event and Prosthetics Magazine, Todd and I covered a safe way of doing one such gag. 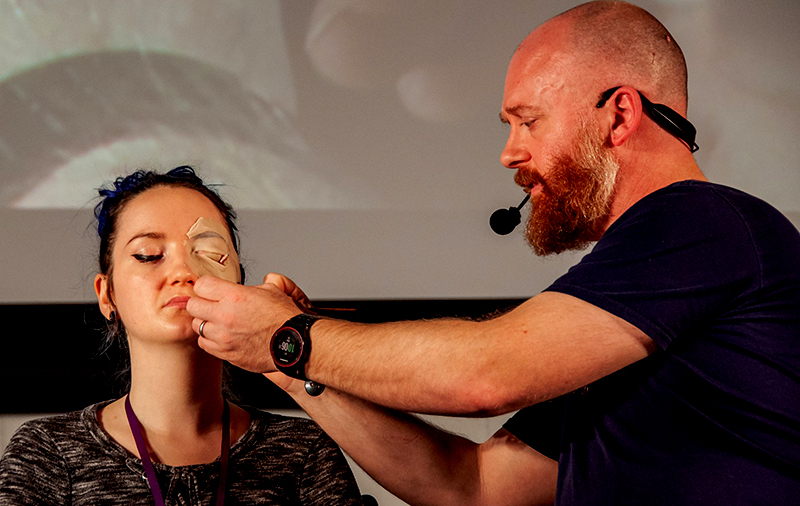 Claire Golby kindly lent me face so I could slam a screwdriver into her eye. Kind of. No Claires were harmed in the making of this demo. Yes, it is time-consuming and takes effort. I realise it may not have looked that hard the on the gameshow 'Face Off'. Also, not many people are looking to hire someone who is always seeking to do the bare minimum either, so if that upsets you, best keep walking, buttercup. I had a great time, with four different stage spots throughout the day. One such highlight was chatting to Christopher Nelson who headed up the small team for the new Halloween movie. We chatted a lot about the act of making, how it feels to fail and how to address those sensations in order to keep going. 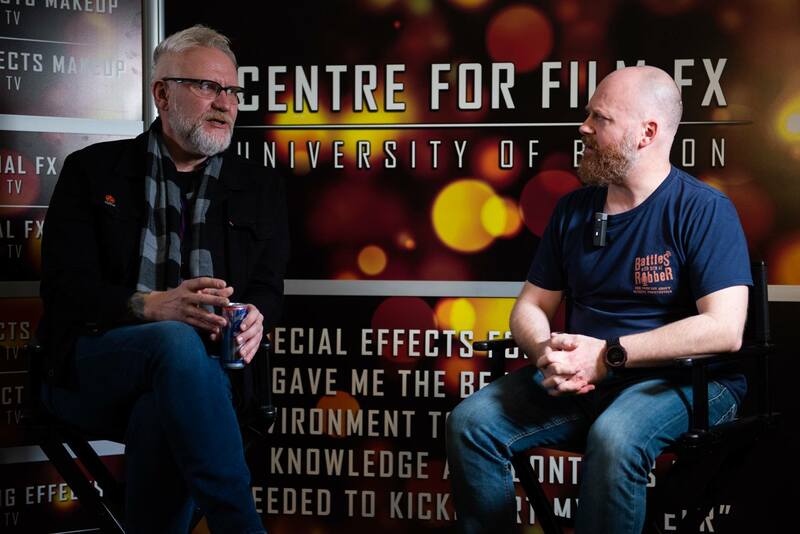 We also talked about smashing in faces and bleeding gags, just your usual prosthetic get together chit-chat! I also got to talk lenses with the team from Cantor Nissel who make lenses and eyes for both medical and theatrical uses. It was a real education, and something we will look into more in upcoming episodes. Next year the show will be even bigger and better! 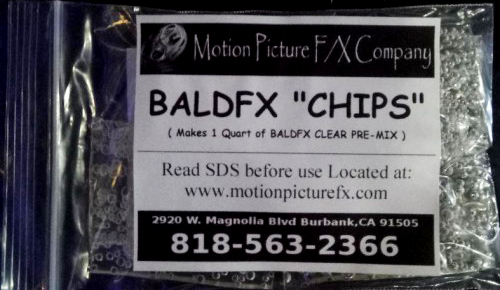 Thanks to the Motion Picture FX guys for sending me a sample of their new BALDFX "CHIPS". I tried it and loved it - so soft and flexible, it makes a great encapsulant for appliances as well as for bald caps. Ok, so you're new to this. Maybe you have just left makeup school/a different career path or job/ made a new life for yourself but now the first opportunity comes along and you have nothing to compare yourself against to know what is expected of you. You don't want to appear too harsh in case you scare them off, nor do you want to be a pushover. Understand that we all must get by. Life costs money. Standing still and doing nothing costs you money. A great exercise is to sit down with a calculator, tot up all your outgoings for a year. Add up your rent/mortagage payments, car, fuel, food, utilities, phone, computer, insurances and whatever else allows you to function for any given year. Add it all up and divide that number by 365. That number it gives you is how much it costs to stand still for one day. You need to make at least that each day to break even and to be able to afford to come back tomorrow. You presumably need to make a profit, so that when you are sick, older or want a better set of circumstances, you will have accumulated enough to tide you over. Using this is the starting point you can see that your time really shouldn't ever be free. How much you can charge for your time depends on what you can offer the client. Remember, a client will only pay for the problems that you can solve for them. Listen to the podcast for more on this!